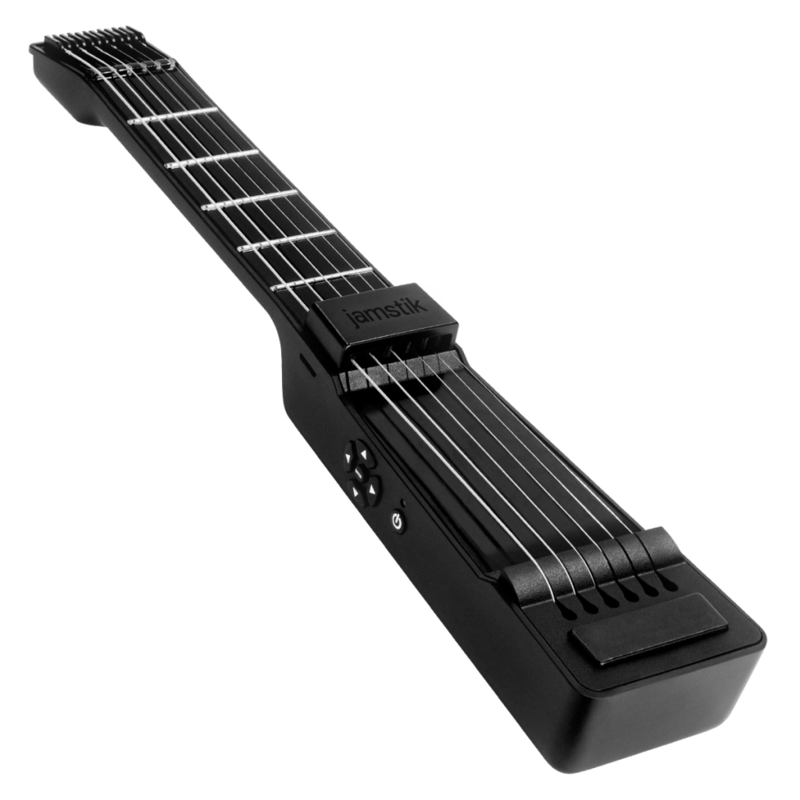 Jamstik is an American manufactured product that works as a portable and wireless guitar controller. Whether you are an expert or beginner at playing guitar, the Jamstik products will increase your skill level. With Big Apple Buddy’s personal shopping service, you can now buy direct from the Jamstik online store anytime, anywhere. 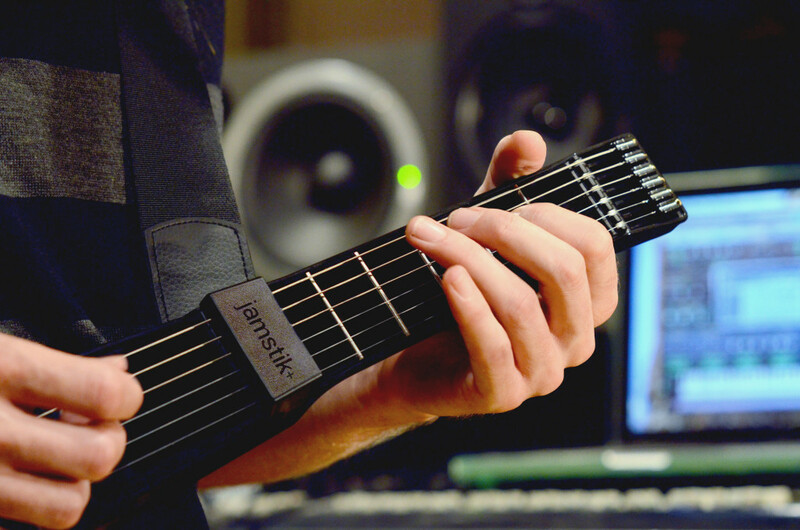 The Jamstik is a smart guitar controller that can connect to you iPhone, iPad, or Mac computer for an interactive guitar lesson never before seen. 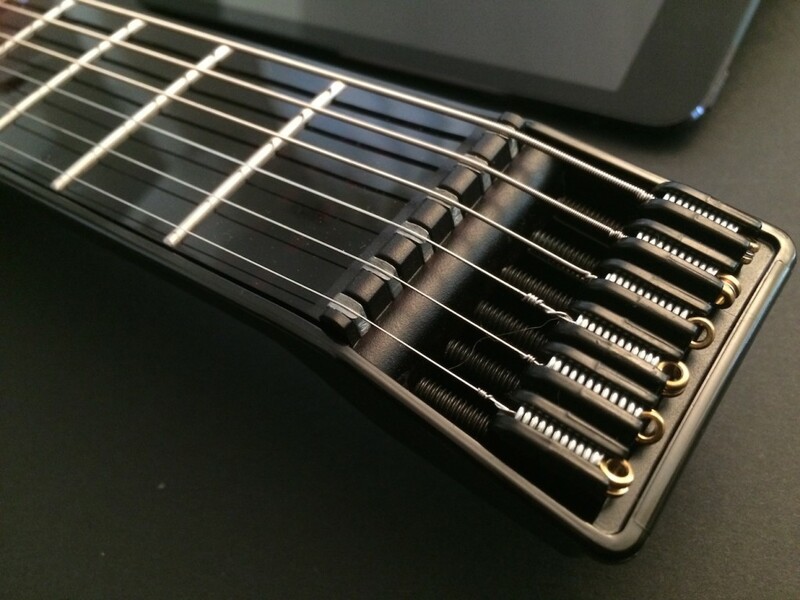 It has real strings and frets and you'll be able to know whether you're playing the right notes with infrared transmitters that display the notes on your device. Forget Guitar Hero or expensive guitar lessons. The Jamstik provides an authentic playing feel and instant feedback through your device - it gives you the best of both worlds as you get a guitar and lessons all in one. The set-up is just as convenient so you can start playing immediately. Easily connect with Bluetooth and download the interactive guitar learning app on you're device. Already a guitar expert? The Jamstik is the ideal portable practice tool so that you can whip out your guitar skills anywhere and even create songs. There are hundreds of apps available to create new sounds, from drums to bass, with the Jamstik and record an entire song anywhere and anytime. Unfortunately, the USA Jamstik online store does not currently offer international shipping. However, Big Apple Buddy, your personal shopper, can help you buy products direct from the official USA Jamstik online store and ship them to your doorstep, no matter where you are in the world. We offer international shipping to over 110 countries including Australia, Austria, Azerbaijan, Bahrain, Belgium, British Virgin Islands, Brunei, Bulgaria, Canada, Chile, Costa Rica, Croatia, Czech Republic, Denmark, Estonia, Fiji, Finland, France, French Polynesia, Germany, Gibraltar, Greece, Greenland, Hong Kong, Hungary, Iceland, Indonesia, Ireland, Israel, Italy, Japan, Jordan, Kuwait, Latvia, Liechtenstein, Lithuania, Luxembourg, Macau, Malaysia, Maldives, Malta, Marshall Islands, Mauritius, Monaco, the Netherlands, Netherland Antilles, New Zealand, Norway, Oman, Poland, Qatar, Romania, San Marino, Saudi Arabia, Serbia and Montenegro, Seychelles, Singapore, Slovak Republic, Slovenia, Spain, South Africa, St. Lucia, Sweden, Switzerland, Taiwan, Thailand, the UAE, the UK, Vatican City, and Vietnam. If you would like to buy from the USA Jamstik online store, simply let us know which items you would like to order (by filling out the form below) and we’ll get back to you with a free international shipping quote within 24 hours!